The mystery of the Divine Essence, divinity, the Spirit and God have been the constant subject of human enquiry and conjecture, religious speculation and metaphysical research. Divinity is sought to be understood at its different levels from the virtually incomprehensible formless eternal to the more tangible Godhead conceivable with shape and form to its incarnated prophets and Avatars on the physical realm. Yogananda sought to provide some invaluable insights and answers to what he called ‘ the seemingly unanswerable questions’, answers that he ”received from the very depths of my soul and from God”. The basic paradox revolves around the concept of God’s unbreachable ‘Unity’ and the untold diversity of his manifestations in the physical world. Yogananda explains that as the Unmanifest Absolute, divinity or the Spirit was solitary and absorbed in Its own peace, consciousness, wisdom and bliss. In that supreme intelligence then arose a profound creative urge – ‘why have I remained thus alone…absorbed in My own bliss…but now I am going to dream a cosmos’. This urge then translated into a magnificent cosmic dream. The dream began to manifest, causing his consciousness to divide between his absolute unmanifested nature, the still and imperturbable Spirit and a turbulant manifest nature in the form of cosmic energy consisting of ‘different vibrating perceptions or processes of His thought’. This apparent duality was an illusion, being no more than a dream state, giving rise to the law of illusion of duality or ‘Maya’. Thus a portion of that solitary consciousness separated itself from Spirit and proceeded forth as ‘an active intelligent force, restless to express its power’, much like a seed sprouts into a mighty tree his thought ‘sprouted into a vast creation’. This however did not affect his fundamental Unity, as the apparent separation was only within the confines of a dream state. The first manifestation was ‘pure thought’. From this primal thought emanated light, which is the same as consciousness, only with ‘greater density’. The thought of light arose first, then transformed into a more tangible ‘dream of light’ – like the difference between thinking of a horse before seeing it actually in a dream. 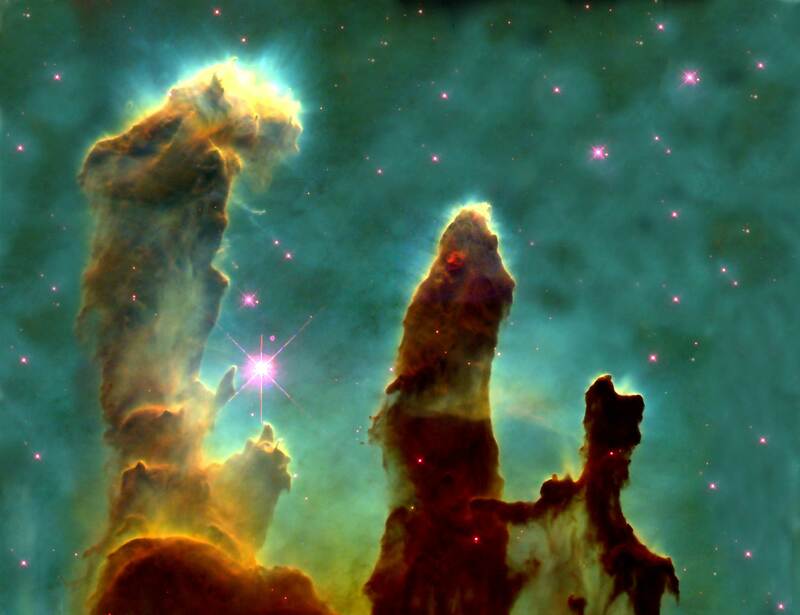 The dream of cosmic light was further empowered to create form. At first the finer light created subtle form and then proceeded to create ‘the grosser atomic light of protons and electrons’. 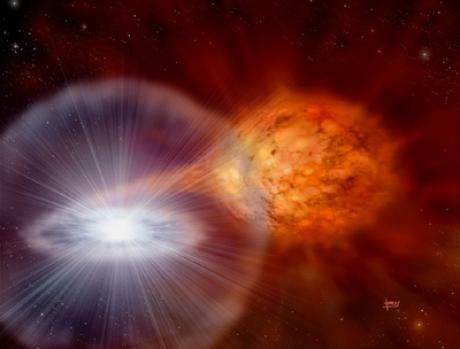 God then empowered electrons and protons to arrange into atoms and molecules and a further thought force impelled them to ‘condense into gases, heat, liquids and solids’ and finally forms of life with man at the apex. This matter was further ‘imbued with a dreaming intelligence’ whose evolution would awaken it to the realization that ‘matter and mind are one’. Mind being the ‘idea vibration of God’. Death became the process by which ‘dream matter changes back into the consciousness of God’. The human being is the most conscious material entity, enabled to ‘transcend His dream’. Through birth and death this highest material entity goes back and forth between the ‘gross dream world’ and the ‘finer astral dream world. Reincarnation was a ‘series of dreams within a dream, man’s individual dream within the greater dream of God’. 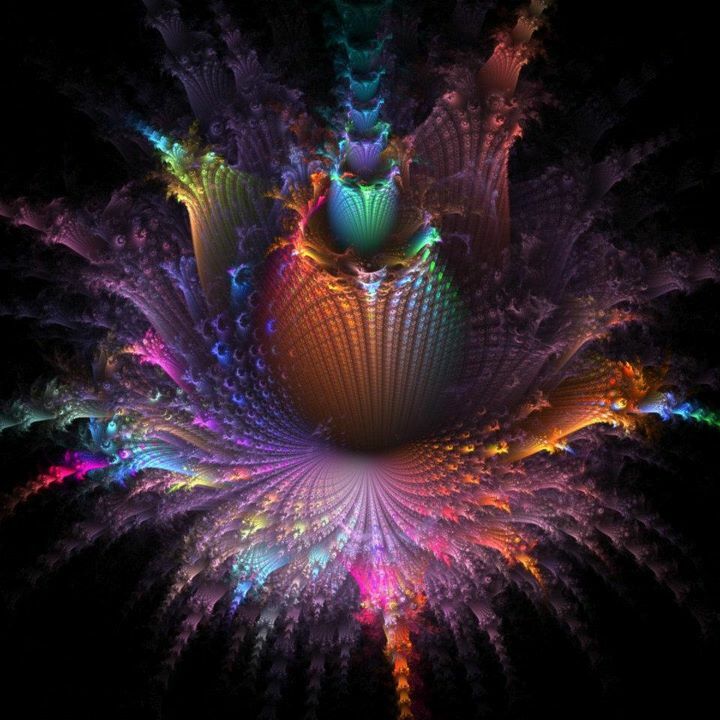 Thus in the stormy state of creativity, the Infinite manifests as ‘intelligence, mind, vibrations, forces and matter’ but in the unmanifest state, ‘the Infinite exists solely as Spirit in which all forces lie dissolved’. The Avatar or prophet is that material phenomenon whose ‘consciousness is one with the Intelligence of God omnipresent in creation and is the sole perfect reflection in creation of the Uncreated Infinite’. 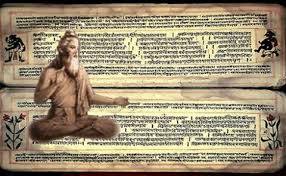 The Svetashvatara Upanishad dwells on the nature of Brahman, the universal and individual soul, illusion and immanence with soul stirring poetic analogies and has enthralled, inspired and enlightened me for decades. Dissolves – He is God ! That is the waters, That is the Lord of Creation (Prajapati). Being born, thou becomest being in every direction. Thou has the lightening as thy child. Thou art the seasons and the seas. Wherefrom all beings are born. With whom he has had his delight. The other ( Brahman) looks on without eating. And his greatness, he becomes freed from sorrow. With beings that are parts of Him. By knowing Him as kindly (Shiva) one attains peace forever. They who know That become immortal. And from that was primeval intelligence created. As abiding in the heart, become immortal. All this is Brahman. let a man meditate on the visible world as beginning, ending and breathing in it, the Brahman…… The intelligent, whose body is spirit,whose form is light, whose thoughts are true, whose nature is like ether, omnipresent and invisible, from whom all works, all desires, all sweet odours and tastes proceed, he who embraces all this, who never speaks, and is never surprised, he is my Self within the heart, smaller than a corn of rice, smaller than a corn of barley, smaller than a mustard seed, smaller than a canary seed or the kernel of a canary seed. He also is my Self within the heart, greater than the earth, greater than heaven, greater than all these worlds….. when I shall have departed hence, I shall obtain him ( that Self). He who has this faith has no doubt; thus said Sandiilya, yea, thus he said. Those who know the high Brahman, the vast, the hidden in the bodies of all creatures, and alone enveloping everything, as Lord, they become immortal. – I know this great person (Purusha) of sunlike lustre beyond the darkness. …. This whole universe is filled by this person to whom there is nothing superior, from whom there is nothing different, than whom there is nothing smaller or larger, who stands alone like a tree in the sky. 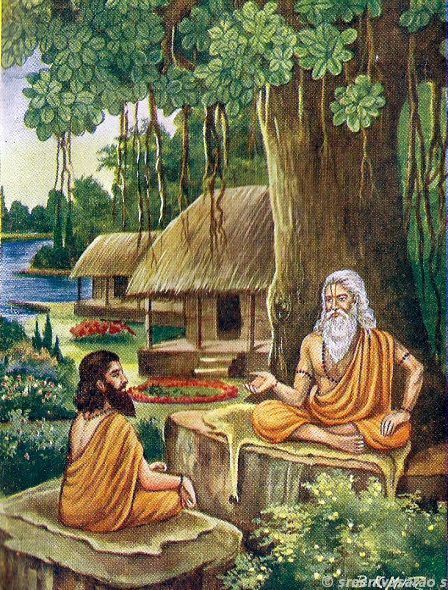 Having begun his apprenticeship with a teacher when he was twelve years of age, Svetaketu returned to his father when he was twenty-four, having then studied all the Vedas- conceited, considering himself well read and stern. ” What is that instruction, Sir?” he asked. …. ” If someone were to strike at the root of this large tree here, it would bleed, but live. If he were to strike at its stem, it would bleed, but live. If he were to strike at its top, it would bleed, but live. Pervaded by the living self the tree stands firm, drinking in the nourishment and rejoicing; but if the life (the living Self) leaves one of its branches, that branch withers; if it leaves a second, that branch withers;…if it leaves the whole tree, the whole tree withers. In exactly the same manner, my son, know this. The body, indeed withers and dies when the living Self has left it, the living Self dies not. That which is the subtle essence, in it all that exists has its self. It is the True. It is the Self, and thou, O Svetaketu, art it. “Please , sir inform me more” said the son.” ” Be it so, my child,” the father replied. “Please , Sir, inform me still more,” said the son. ” Be it so, my child,” the father replied. The father said: ” Taste it from the surface of the water. How is it?” the son replied: ” It is salt.” ” taste it from the middle. how is it?” the son replied: ” It is salt.” “Taste it from the bottom. how is it?’ The son replied: ” It is salt.” the father said; ” Throw it away and then wait on me.” He did so; but salt exists for ever. Then the father said: ” Here also, in this body, forsooth, you do not perceive the True, my son, but there indeed it is. That which is the subtle essence, in it all that exists has its self. It is the True. It is the Self, and thou, O Svetaketu, art it.”……..ENDS – ( after many more analogies Svetaketu’s education regarding the nature of the soul was completed). 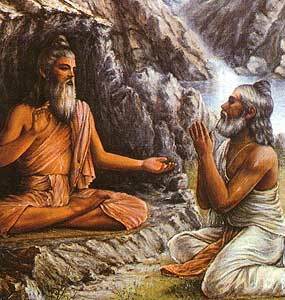 Thus through a parable and analogy was the learned yet ignorant Svetaketu imparted the knowledge of the Soul. The Upanishads throughout employ such dialogues to convey their message. Parallel to the development of the concept of Brahman as Universal Essence was that of the Soul or Atman also as being the Universal essence. 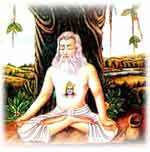 The Atman was in like manner shown as being both ubiquitous and immanent. 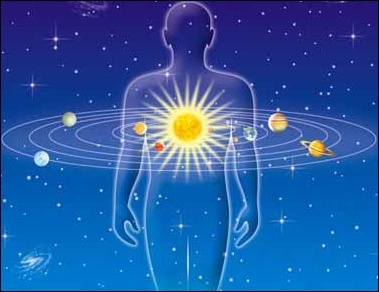 This thought derived its inspiration from the Rig-Vedic concept of the Cosmic Person from whose eye emerged the Sun, the Moon from his mind, fire from his mouth, the wind from his breath, the sky from his head, the earth from his feet etc. Thus the Cosmic Person was seen as projecting into the forces of nature and the world. A further extension of this thought in the Upanishads was to create a correspondence not only to the world in general but to the individual as well. Thus fire now entered the mouth of a person and became speech, wind entered the nose and became breath, the Sun became sight in the eyes, the moon became his mind and so on. While on the one hand creation was shown as emerging from the Universal Essence, on the other the created forces were shown as producing the faculties of man. Thus the microcosm and the macrocosm were connected. “Then was not non-existent: there was no realm of air, no sky beyond it. What covered it, and where? and what gave shelter? Was water there,unfathomed depths of water? Death was not then, nor was there ought immortal, no sign was there, the day’s and night’s divider. Darkness there was: at first concealed in darkness this All was undiscriminated chaos. Thereafter rose desire in the beginning, desire, the primal seed and germ of spirit. Transversely was their severing line extended: what was above it then, and what below it? There were begetters, there were mighty forces, free action here and energy up yonder. I have yet to come across a more moving poem ( when I read this, over three thousand-year old poem, believe me my hair stands on end) as earnest uncomplicated and uninhibited and with no presumptions whatsoever yearning for an answer ( He verily knows it, or perhaps He knows not! – can any latter day believer dare ask such a question??) – that for me was the spirit of ancient India’s quest and enquiry, fearless in its scepticism, which eventually produced first the intense speculations of the Upanishads and later the crystalized and focussed efforts of the Gita to reply that pristine query, which for me it did. 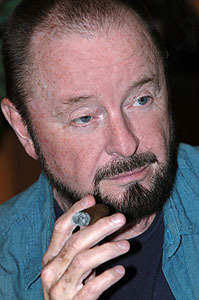 Ingo Swann, who died this year, was one of the most remarkable psychics of our times. Considered a pioneering figure in ESP related ‘remote viewing’, his remarkable feats so impressed the establishment that the prestigious Stanford Research Institute (SRI), Princeton, Mind Science Foundation, San Antonio and several others involved him in their ESP research programmes. The results were of such outstanding quality that the CIA ( concerned about the Russian Intelligence Organizations’ own research in the field) engaged him in what came to be known as the ‘Stargate Project’ for 25 years before abandoning it in 1995, with a change in command, on account of the results being vague and ambiguous for the purpose of intelligence gathering. The range of ESP connected abilities attributed to him included first and foremost, ‘Remote Viewing’, then psychokinesis, mentally influencing growth of plants, influencing temperature in a controlled environment, ‘out of body Travel’ ( thereby detecting a ring of tiny asteroids around Jupiter, subsequently confirmed by scientists) and influencing stable magnetic fields of a super cooled junction in a quark detector (considered an amazing feat by scientists). In his book ”Natural ESP – A Layman’s Guide To Unlocking The Extra Sensory Power Of your Mind” ( Bantam Books 1987 ) he holds that potentially an ESP ability is present universally and is not unique to a psychic. In the book he seeks to show how anyone can develop this ability by employing his methodology for ‘remote viewing’ through drawing, sketching and doodling. He opens by asserting that the study and practice of ESP has been stagnating for over a century since interest was first aroused in scientific circles, mainly on account of remaining in a traditional groove of enquiry fettered by labels which were not really relevant and the use of verbalization ( rather than the use of sketches and doodling) which restricted and inhibited the process rather than revealed the true nature and source of ESP. In the course of the extensive experiments and demonstrations at the prestigious institutions he was associated with, he came to the realization that what was equally important was the mental processes as much as the results for providing a clue to the nature of the phenomenon. He therefore began to focus attention on his own mental activity to determine what was happening. A particular experiment finally became the ‘clincher’ which opened the window to reveal the truth – Swann says ”as a result of it, my life was never to be the same”. In this experiment in ‘remote viewing’ two objects were placed in a container directly above his head which he was expected to view ‘remotely’ while he was strapped to a chair with electrodes. He then ‘remote sensed’ and sketched the following symbols which arose in his conscious mind; (1) U T (2) dn-L He wondered whether these were distorted letters from Arabic. The actual objects were (1) a card with the figure 5 and (2) the words 7 U P . Those conducting the experiment however immediately realized what had happened. Swann’s remote sense had viewed the objects upside down – join u and T and the figure 5 appears – reverse dn – L and you get 7 UP. 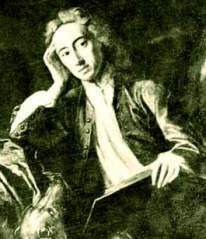 In that instant Swann realized that there was a faculty within him which had observed the objects without the verbalization filters or internal editing in his conscious mind being activated. He arrived at the grand realization that the inner faculty had its own logic and rules of observation, working on a different mechanism of its own rather than a reliance on the physical senses. He named this faculty within us as the ‘ESP Core’, the psychic mind. He also realized that studies of ESP so far had concentrated on the notion that the mind ‘goes out’ and senses the target, whereas the truth was that the information is actually streaming into the mind from outside. The sensing mechanism plugs into a Universal Field of information which is beyond time and space in a ‘second reality’ beyond the physical plane. the information comes into the mind without the use of the physical senses. (3) Mystical insights, intuition, hunches etc. He then postulates the concept of the Mind Mound which is ‘overgrown’ ( like in archaeological excavations) by presumptions, preconceptions inculcated by culture, education, beliefs, memory, imagination, ideas,and uncontrolled thoughts, impeding the passage of ESP signals into the conscious mind and acting as barriers. Within the mound lies hidden the ESP Core. The barriers are erected by the mind to maintain rationality and protect its own vital functions from getting overwhelmed by information streaming in from the Second Reality. This resistance can be identified as the ego which enables the physical entity to survive in its own material reality. Without the barriers the conscious mind would be inundated by more information than it could handle. Yet occasionally, vital ESP signals like strong intuition, creative ideas, foreboding, awareness of loved ones being in trouble or danger,etc are allowed through with barriers inactivated when vitally necessary. Over the years, given his own abilities and experiences he concluded that our awareness of the physical world and our thinking experience of it is not the only form of consciousness we possess. There is a second consciousness, the ESP Core which integrates with both the physical world and with the Second Reality beyond it. By now I could guess what would be coming next. The ESP Core he then calls the Deeper Self. The Second Reality, inevitably, he links ( as I expected him to) to concepts propounded by scientists and Quantum physicists and thinkers as the Quantum reality, the Implicate Order ( David Bohm), the Zero Point field ( Lynne Mc Taggart), the Cosmic Web ( Fritjof Capra). The Deeper Self or the psychic mind he states may not exist only in the brain but indeed extends beyond the physical body. He then equates his idea of the Deeper Self with Rupert Sheldrake’s ‘Conscious Self’. Sheldrake, the renowned biochemist and plant physiologist, states that this is not merely derived from matter. As he puts it, while the Conscious Self interacts with the motor field of the body and the changes taking place in the brain through the body’s interaction with the environment and circumstances of life, yet it remains ‘over and above them’. The properties of the Conscious Self cannot be reduced to matter, energy and motor fields but derives from another reality beyond time and space. 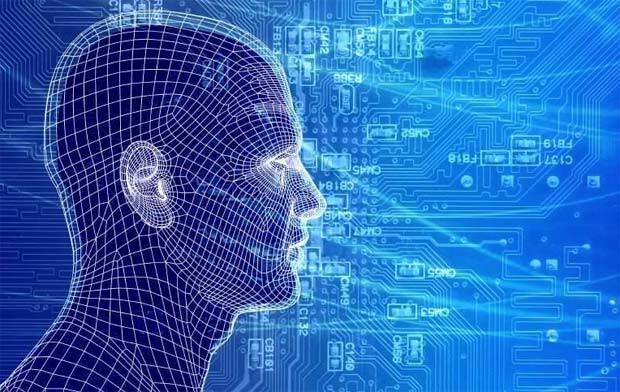 It has properties unlike a purely physical system and it is this that accounts for parapsychological phenomena we encounter on the physical plane. It becomes obvious that Sheldrake’s Conscious Self and Swann’s Deeper Self, in traditional, theological terms is none other than the Soul, the Oversoul, the Superself, the divine Self and Cosmic consciousness. This begins to match the Hindu concept of the soul which I have laboured to explore and present throughout this blog. This soul according to the Gita is not the AGENT of action but the quiet unobtrusive motivator and witness. Swann’s conscious levels of the mind in the upper reaches of the Mind Mound constitutes our ego, which is the independent AGENT of action influenced but not controlled by the Deeper Self. His ESP Core is indeed the soul, situated both within us and extending beyond into the Universal Consciousness. The Second Reality beyond space and time that he speaks of , from which the ESP inputs arrive, are none other than the Universal Consciousness (Brahman, Cosmic Web etc). Swann’s researching the ESP phenomenon thus reveals valuable insights which parallel Eastern Metaphysics and provide an understanding from the psychological and scientific angle and the philosophical and metaphysical angle of the paranormal and ESP phenomena occurring in our daily lives. 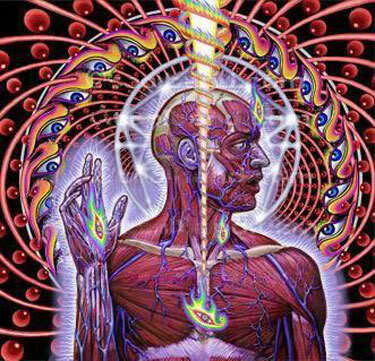 The ESP Core ( the Pineal gland, the Third Eye, the Ajna Chakra ? ) 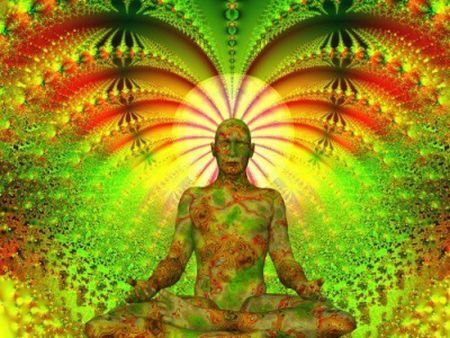 is the seat of our soul aligned to our physical body and its ego component in the brain, seeking to reveal the paranormal and extra sensory truths derived from the cosmic Web, as intuition, creativity and the paranormal abilities of ESP, when we, the ego are willing and able to listen. 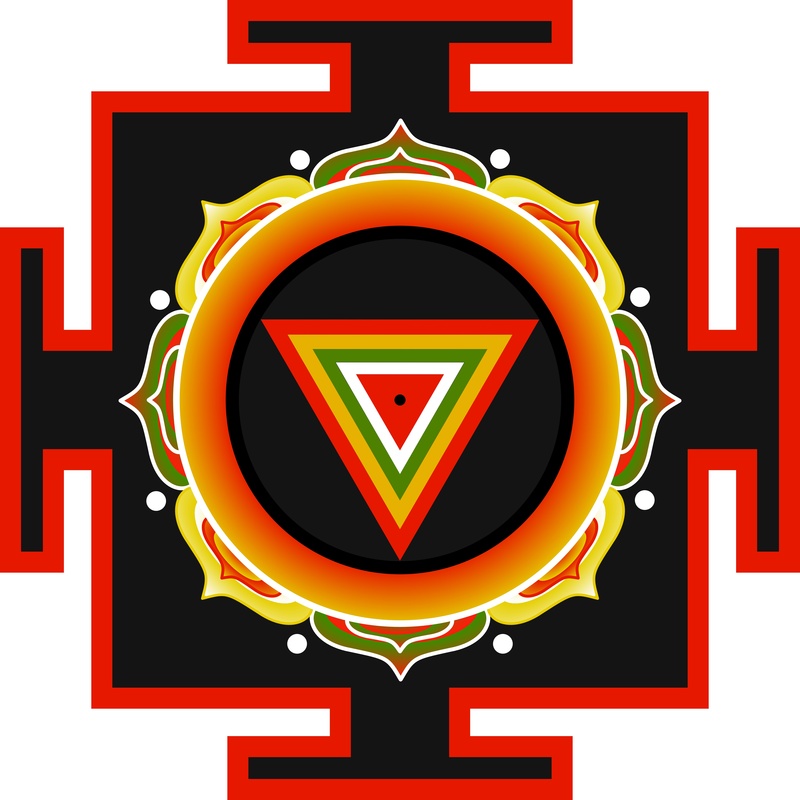 The primal energy of the creative force in Hindu theology is conceived as a feminine entity. This is quite remarkable for a country which is essentially patriarchical. Worship of the Goddess as mother is fairly universal with major festivals being dedicated to honouring her with chanting, prayer, song and dance. Millions also trek to pilgrimage sites with fervour, devotion and resolve to receive her maternal blessings and empowerment. The Universal Essence is symbolized as partly masculine, the epitome of truth, consciousness, calm and bliss and partly feminine, creative, volatile, energetic and emotional. The masculine element, Shiva, contemplates creation through his eternal meditation and is regarded as the eternal yogi, while his counterpart Shakti ( energy in Sanskrit) is cosmic energy that enacts that creation. Shiva is the seed, Shakti is the womb. Shakti is depicted as having three manifestations or aspects. 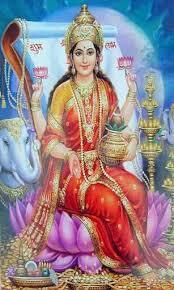 Lakshmi is its benign form generating prosperity, growth, health, well-being and good fortune. One finds her portrait on an altar in most shops and commercial establishments, in addition to homes to ensure the success of the enterprise and well-being of the family. Sarasvati is the intellectual aspect generating scholarship, the fine arts, music dance and knowledge. 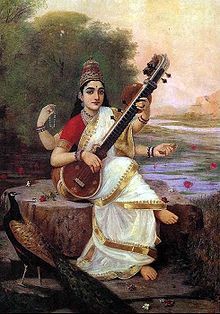 Her images with Sitar in hand adorn the stage where dance and music concerts are to be held or at inaugurations of cultural events. Students before joining an educational institution or proceeding to take an exam will seek her blessings. Kali is Shakti’s darker aspect, symbolizing inexorable time (Kal), mortality and the ephemeral nature of physical existence – energy in a constant state of flux. Together the three aspects of Shakti create, facilitate growth, enhance the quality of life through prosperity and the creativity of the arts and finally terminate it to recycle the process again and again. 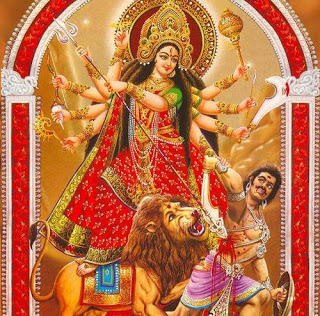 The three Goddesses when combined as one force are pictured as Durga displaying beauty and strength as a many armed maiden astride a lion ( or tiger) furiously battling the forces of inertia, atrophy, darkness and evil represented as the buffalo-demon which she slays even as it seeks to change form to deceive her. 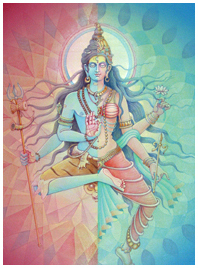 Kali ( the dark one and time in Sanskrit) is the most striking and fearsome aspect of Shakti. She is shown as standing with one foot irreverently placed on the chest of her recumbent lord Shiva, the blissful representation of the Universal Essence whose inner force she actually is! According to myth she was conceived to destroy demonic entities who had overpowered the demigods and subverted nature imperilling creation. Even after their destruction her furious destructive energy could not be contained thus threatening the very creation she had been produced to save ( much like nuclear energy gone awry). Shiva then as a last resort threw himself at her feet to contain her fury but she carrying forward with uncontrolled momentum inadvertently placed her foot on his breast Thus the epitome of truth, consciousness and bliss, lord of the universe, lay under the foot of his own power time, which strode over him as if to declare that she alone ruled the material world of opposites ( good and evil, light and dark, pain and pleasure, love and hate, life and death). As she places her energetic foot on the chest of the universal lord she suddenly realizes what she has done and in embarrassment sticks out her tongue, realizing that the physical world is only a mirage created by the Universal Lord. The allegory is stark. The uncontrolled physical momentum of the physical world can only be restrained and tamed when it over steps its spiritual base and in so doing is shocked back into equilibrium. 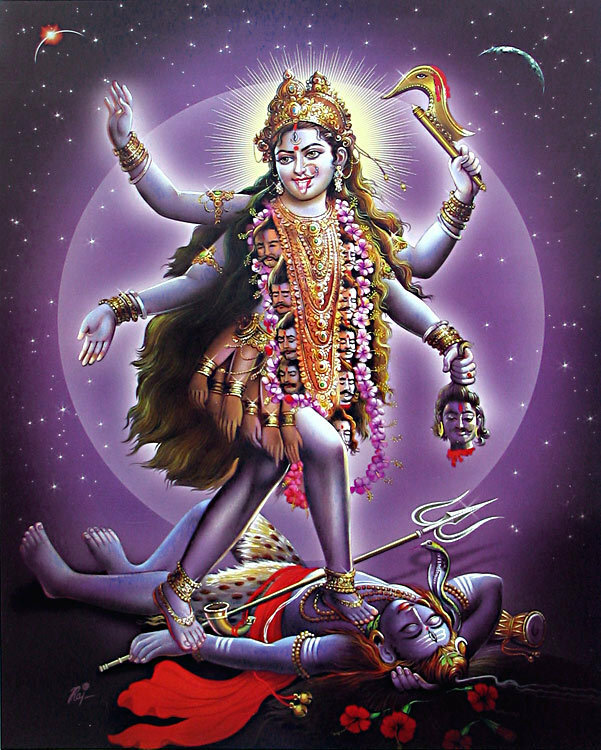 The stirring, striking and paradoxical imagery of Kali with Shiva underfoot took the Hindu psyche by storm and is abundantly on display at meditation centres and places of worship where people hope to overcome persistent obstacles in their path. In Kolkata this representation of our combined spiritualism and materialism is worshipped at the famous temples of Kaligahat and Dakshineshwar where goats are sacrificed to appease her fury. 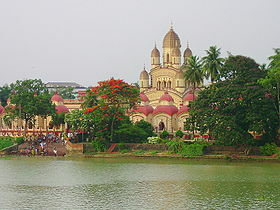 Unlike most branches of Hindu worship vegetarianism is not observed here and in place of honey water and milk cakes being offered to worshippers as sacred blessing the practice in many Kali temples is to offer wine and preparations of meat. It is Kali who helps brides consummate their marriage, it is she who protects us from physical traumas. I composed a poem as a tribute to the goddess who though fearsome as life itself is yet full of hope and maternal concern.